I love decorating my home for all the different seasons & holidays throughout the year. right now, I am transitioning from Spring to Patriotic. Red, white & blue will decorate my home for most of the summer. 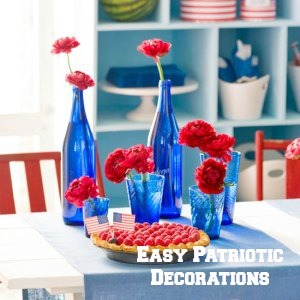 Add a patriotic touch to your home with these simple & sensational decorations from BH&G. It’s easy to do, can be very inexpensive & adds color & fun to your home all summer. Enjoy!